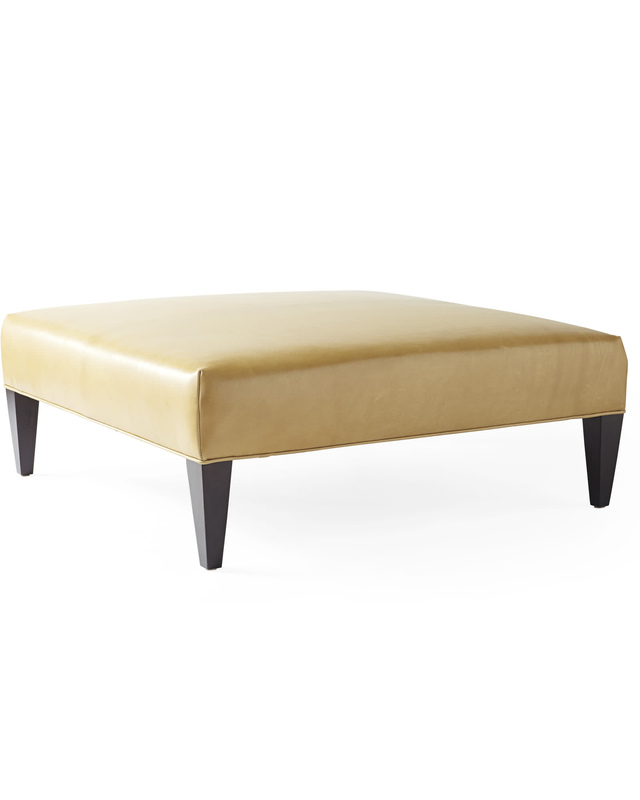 Chelsea Ottoman - Tapered LegChelsea Ottoman - Tapered Leg, alt="Chelsea Ottoman - Tapered Leg, "
Print Brilliantly oversized and just the right height, this piece serves many functions with style. Top it with a tray for art books or cocktails. 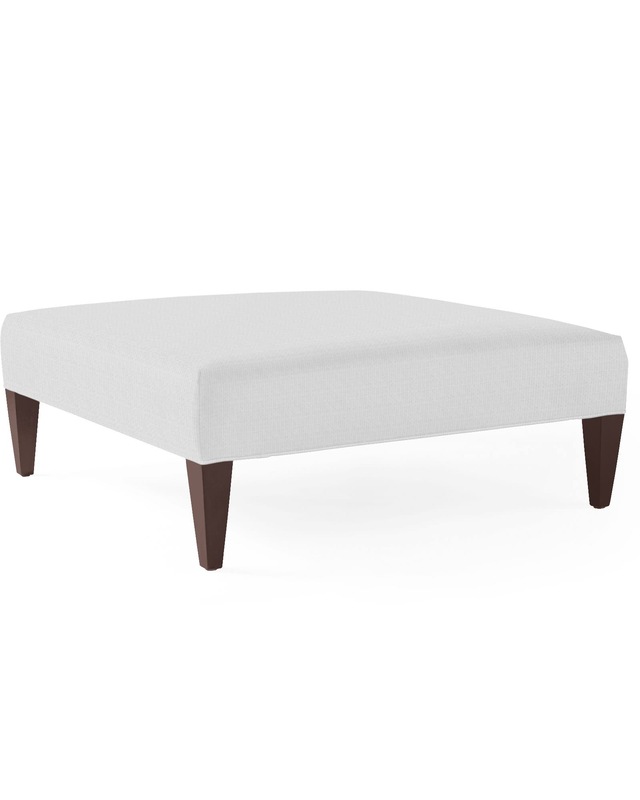 Take the tray away and it’s extra seating for guests – or a perch for tired feet. 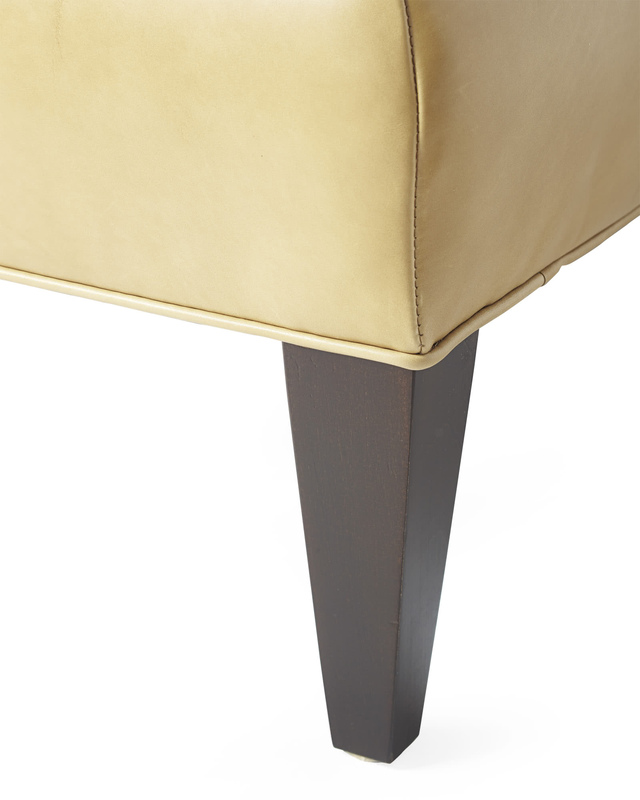 Tapered legs give it a modern edge. Solid wood legs are finished with low-VOC stain in Natural, Dark Walnut or Driftwood. Turned legs also available.